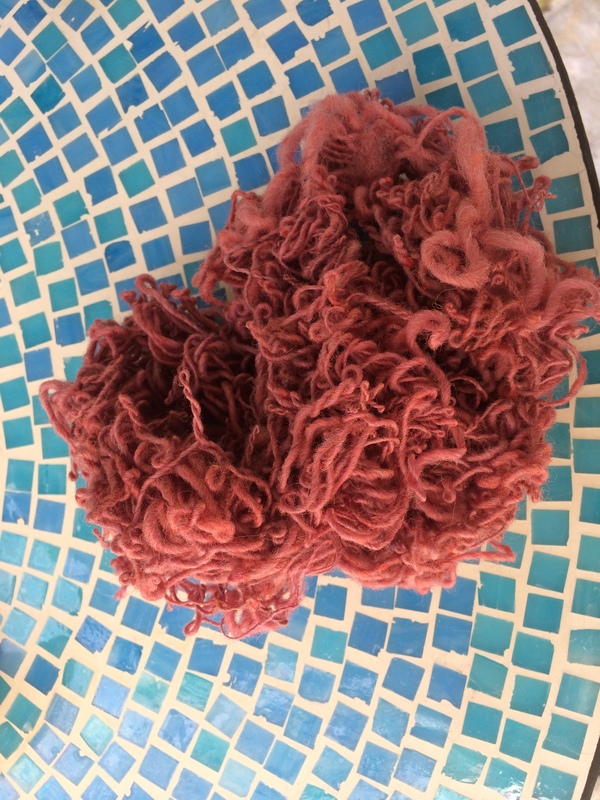 It is well established that The Good Weaver and The Good Knitter plan their projects completely, do sampling to check their plans, actually follow their plans and then write up their notes and file them away with their samples. Sadly I am not a good weaver or knitter and I’m never going to be. Sometimes hare, sometimes tortoise, I move between projects as the spirit moves me. But I really wanted to be a good blogger. The one who shows up every day or even every week and documents the passage of time and the progress on textiles. Let me just acknowledge that I am failing miserably. So this will be a whirlwind essay and then maybe I can revisit and give some of these topics the depth they deserve. Is it really going to be August?!? What happened to my peaceful summer? It started in March, (or maybe it’s always been this way). 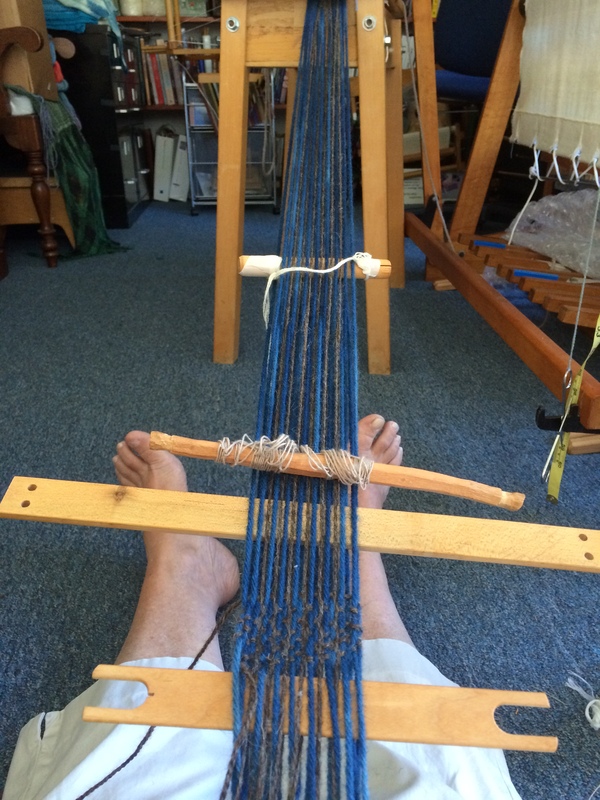 My sister was moving and after nearly two years of desultory spinning, I had to finish 12 ounces of merino silk weft and dye a warp and weave a belated 50th birthday present before my sister moved out of state. Accomplished in early April with minutes to spare. Then I had to start on the not yet very belated 50th birthday present for next sister. 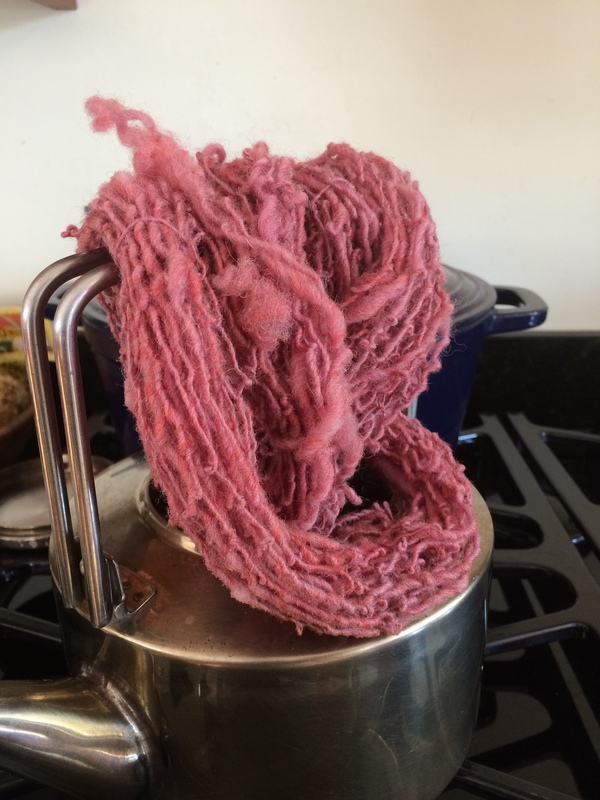 After some snail mail consultations on color, I dyed a few pounds of a cabled merino silk that I bought from a store going out of business. No more yarn to dye and oh, by the way, a friend was turning 60 and also wanted a blanket out of the same colorway. So I dyed different scraps of wool to have enough for a mixed warp for 2 blankets. 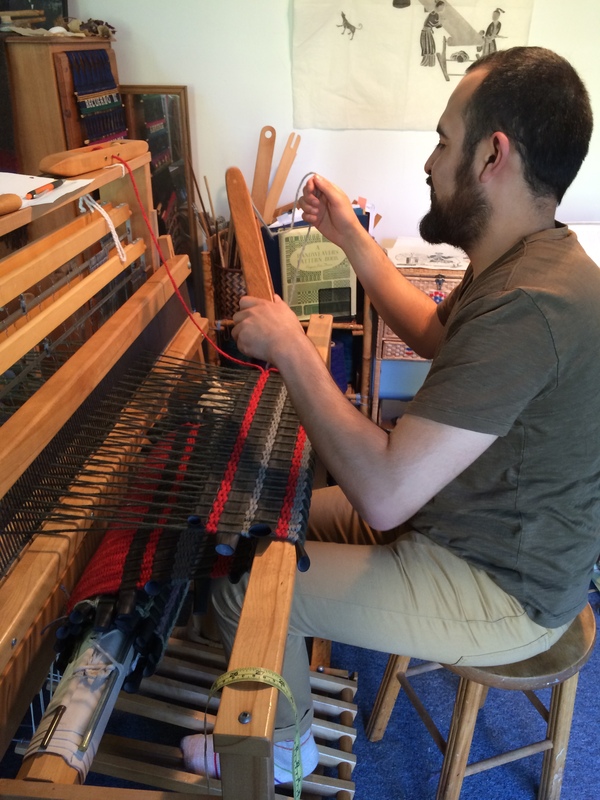 Decide to warp from front to back to make real time decisions about the mixed warp. Nice, but with nearly 600 ends and 5 warp chains it kind of got away from me. Still sitting there waiting for me to find the courage to finish. Front to back is mostly unfamiliar to me and I still am having to force myself to believe that it’s a good way to warp. CNCH 2014 was the end of April and my 9 hours of spinning classes deserve some mention. Stephanie Gaustead showed us how to steam unruly singles to even out the twist. My guild the Golden Gate Weavers had a booth to celebrate our 75th anniversary. 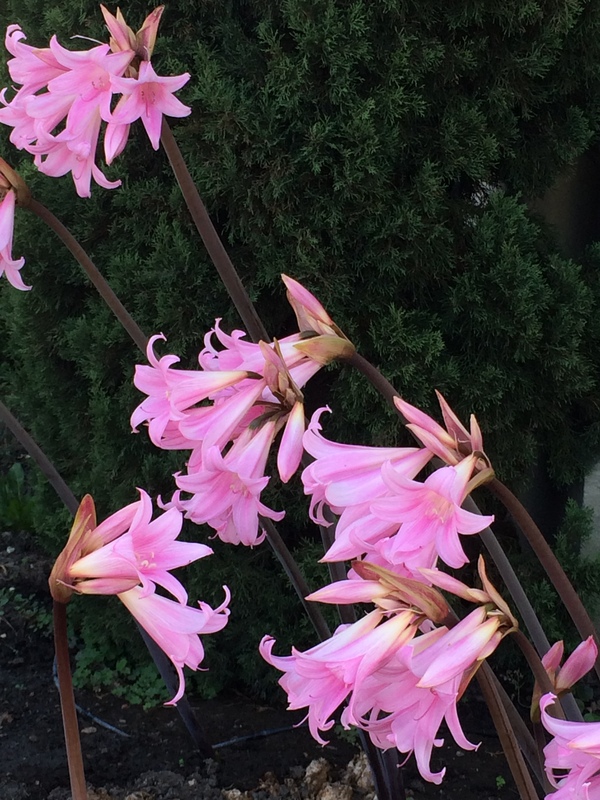 So far my Spring doesn’t sound too bad does it? Well I had been doing a little sample weaving for a young designer who all of a sudden needed several 8 yard warps woven up in case she was in a show. And oh, by the way she decided she wanted to learn to weave so she could make up her own products and a friend of hers needed to learn to weave so he could help with production. 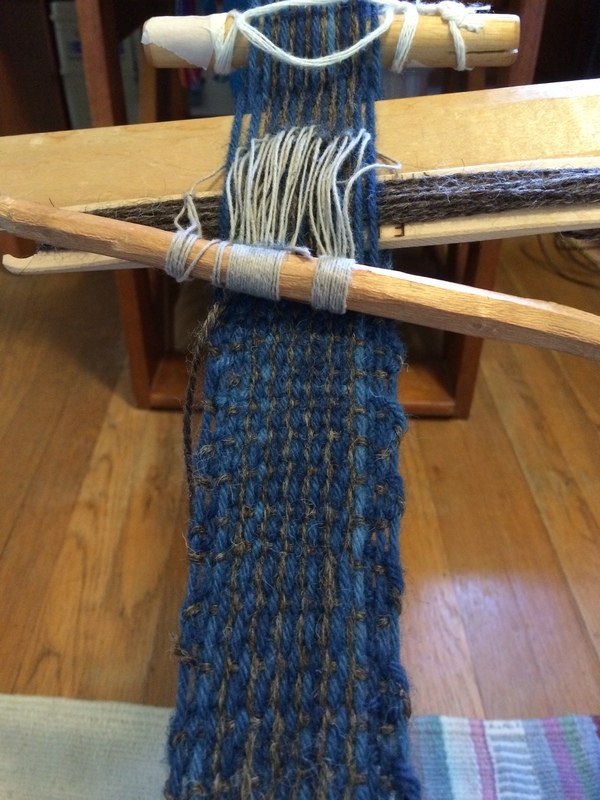 How to weave on a warp and share it with students with two different temperaments who only can come here to weave intermittently. That was interesting. So far this doesn’t sound too crazy. Except that in March I also gave one lesson to a woman writing a book about a pre-Incan weaver. She wanted to learn about backstrap weaving which I don’t do but the challenge was too tempting. With the help of Laverne Waddington’s phenomenal blog and tutorials I was able to put together a tiny backstrap loom and let my student try it. And that led to me making an effort to meet Laverne at CNCH in the end of April and discovering she’ll be back in CA in Oct. I am hoping to take her backstrap class then. Meanwhile back at the ranch, my now 9 year old student in San Francisco was interested in learning to make pictures with weaving. 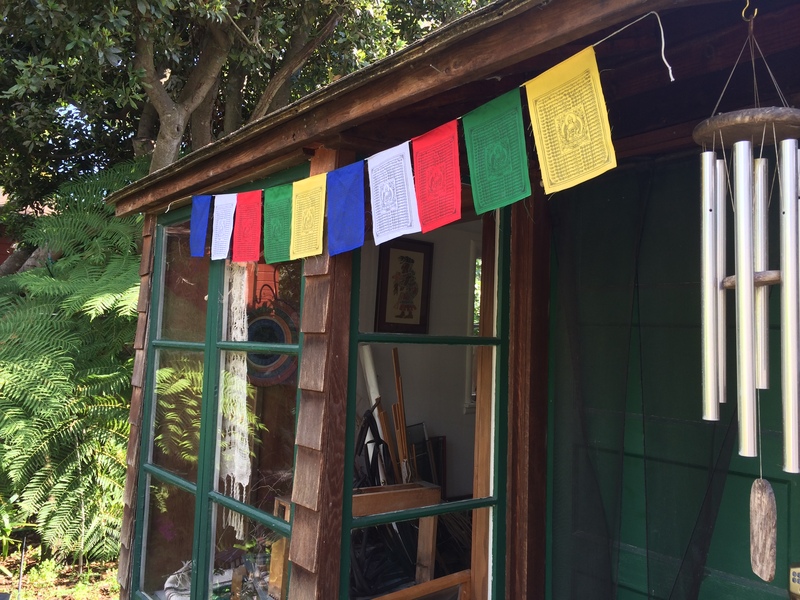 As I told her parents, I am not a tapestry weaver and if she wants to take this very far we will have to find her a tapestry teacher….. BUT, in the meantime, why not try. We started with basic weft faced weaving in one color and then two, but suddenly I was frenetically reading books and articles on tapestry. Why go back to school? Writing curricula is a wonderful way to learn and my students are pushing me learn new skills constantly. In February I had met a special ed teacher on a plane and in May with two other guild members I went to her classroom and taught 13 year olds for four hours. A major success and they want us back next year. All was well until June. I didn’t have a lot of professional work scheduled this summer and almost all of it was hospital work on the weekends so my weeks looked wide open. First I volunteered to work in the warehouse of the UC Berkeley Museum of Anthropology helping inventory and photograph their collection of baskets and textiles. Dream job for a weaver. I am reading basketry books at night and figuring out which Native American groups on the West Coast lived where. Endless things to learn. Now they want me to put together a presentation for the young staff that are working in the warehouse, so more research on the history of textiles. Did you know they have found twisted and dyed flax fibers in a cave in Georgia that are 32,000 years old! We are a very old craft. 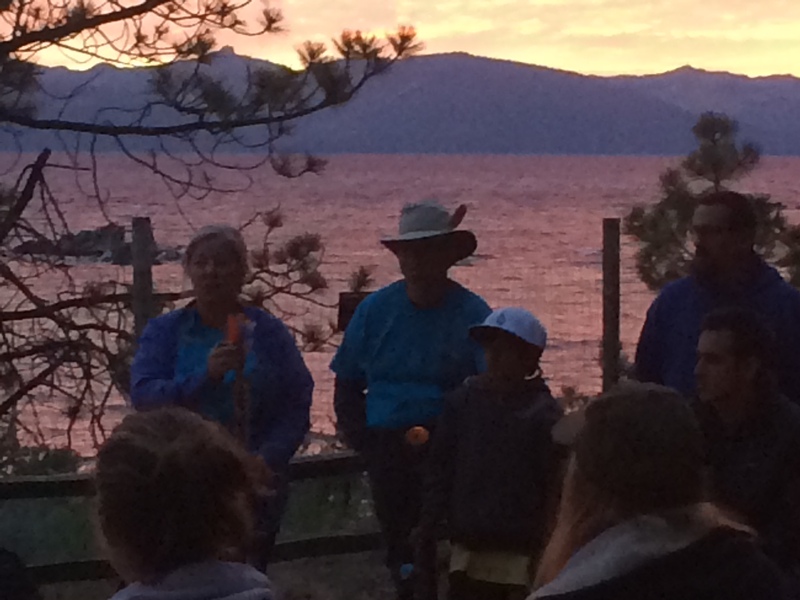 In the middle of June I spent two beautiful days at Lake Tahoe helping at a children’s bereavement camp. I take my spinning wheel and kids take turns spinning. 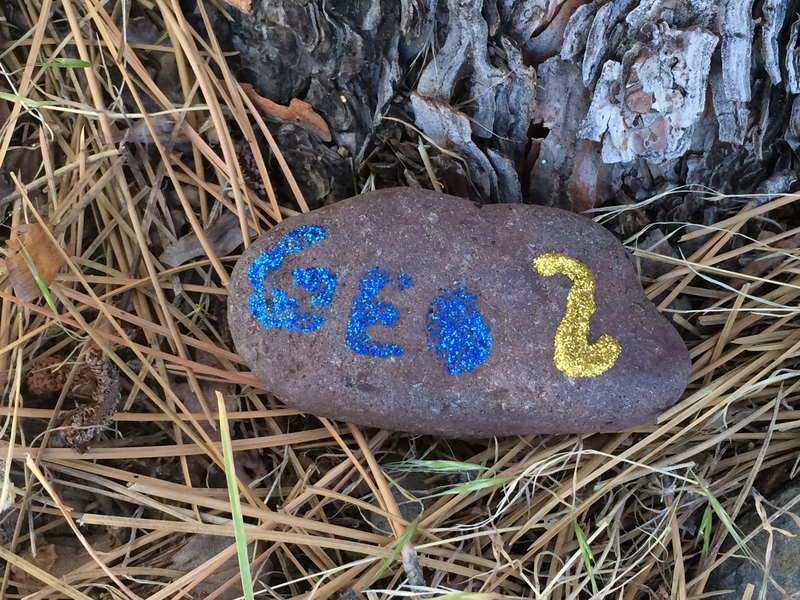 I had lost two friends in the prior month and the camp experience is profound for everyone. The spinning is a happy time. 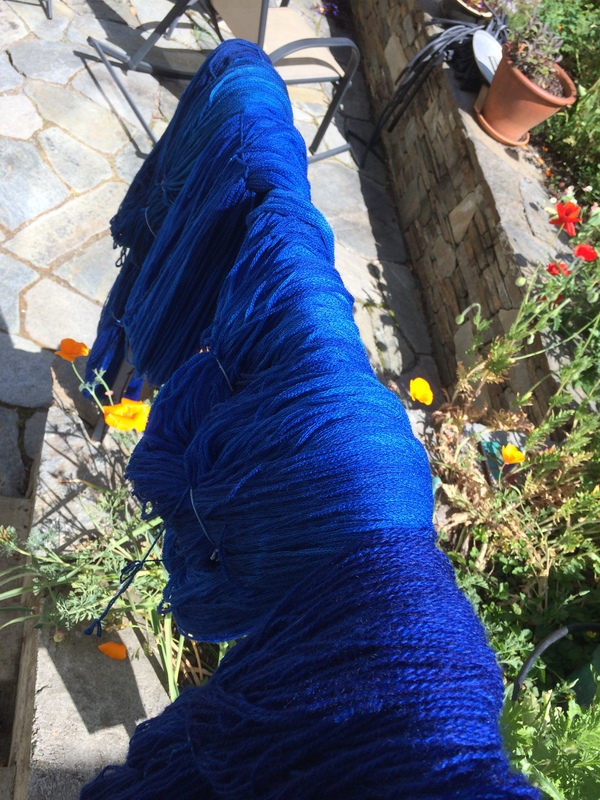 My guild had an indigo dye day at my house later in June and I produced some nice yarn although I’m not as happy with the scarf. Then six weeks ago, friends of my baby sister put out an appeal on Facebook: It was seven days before the start of their summer school and their knitting teacher had suffered a scorpion sting that got infected (No I am not making this up). Now I became a knitting teacher. What followed was wild. For four weeks I got up early (not my strong point). Then I commuted 40 minutes (that on one occasion stretched to 94 minutes). Didn’t I retire from full time work and become my own boss to avoid things like commuting? Mon- Fri for four weeks I taught two 1 hour classes of beginning knitting. Seven-12 year olds; 15 to 18 kids in a class. The vast majority did not know how to knit at all. There were wonderful high school aides to help me but the first two days of a dozen little voices simultaneously saying “Something is wrong here. I don’t know what to do. Can you help me?”, nearly did me in. 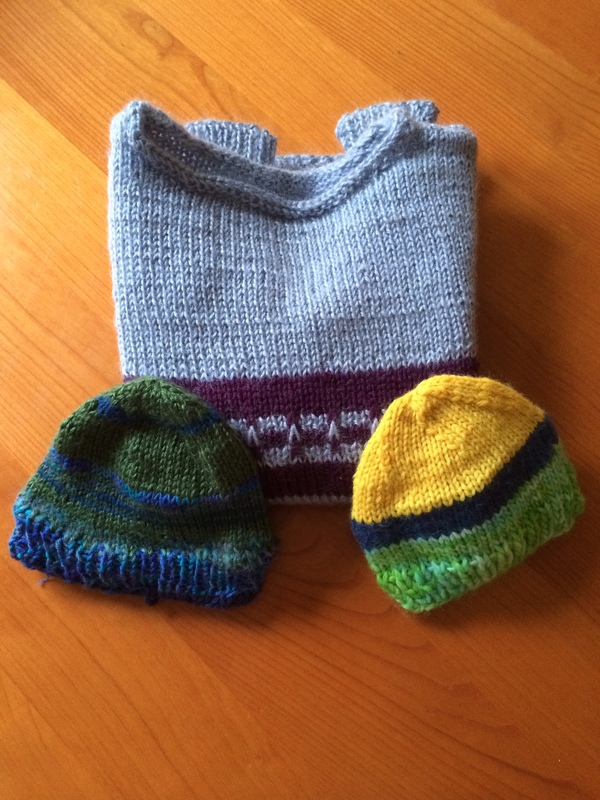 By the end of two weeks almost everyone was knitting (the rest were finger knitting) and the ones who came into the class knowing how to knit had either learned to purl, and/or had knit a hat on circular needles. It really felt like a success. But that was Session One of summer school and now we were back to Day One of Session Two. Fifteen mostly new faces; mostly new knitters. A dozen little voices all asking for help. Sheer lunacy, that was clear to me. Why was I doing this??? Teaching is something I have always enjoyed and I love to teach kids and beginners. It’s almost an uncontrollable urge. I started fantasizing how I could return to this summer school next year and teach beginning weaving. Next I started buying used lap looms on e-Bay. What serendipity. Now I could combine my need to keep ahead of my nine year old weaving student with my interest in using frame looms next summer. 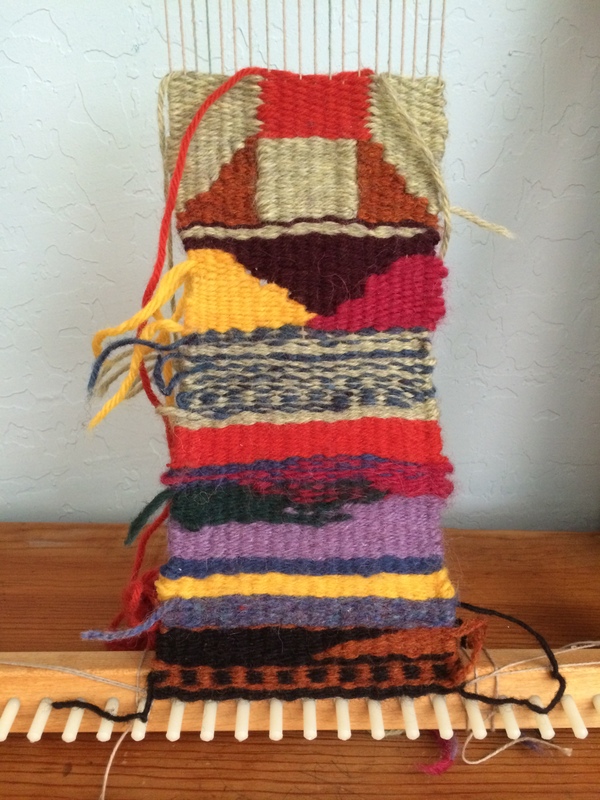 Using an old Navajo weaving book I started a little 5 inch wide piece. When I brought it in to knitting class as a demo for what we could do next summer, there were a couple kids who wanted to weave. Why not!! The first three days of Session Two we had had some significant behavior problems with a couple of kids. And of course they set each other off. But one little girl who was causing problems by provoking another student was one of the ones who wanted to weave. She and a very quiet little boy who was already a good knitter never left the loom after other kids had taken a turn and returned to knitting. One frame loom and two weavers, what to do? Each got to chose a color, I gave them each a shuttle and showed them how to start at the selvage and meet somewhere in the middle. Slits or interlocking, their choice. They took off and for the rest of the session they were silently weaving on one side of the classroom. A delightful little boy who was probably too young for a knitting class joined them some days; to watch and supervise and kibitz. Behavior problems solved. Quiet classroom. Enough space for the aides and me to help the rest of the beginning knitters. I have seen that over and over again. Doing demos in parks or street fairs a child will take to weaving and to the amazement of their parents refuse to stop. 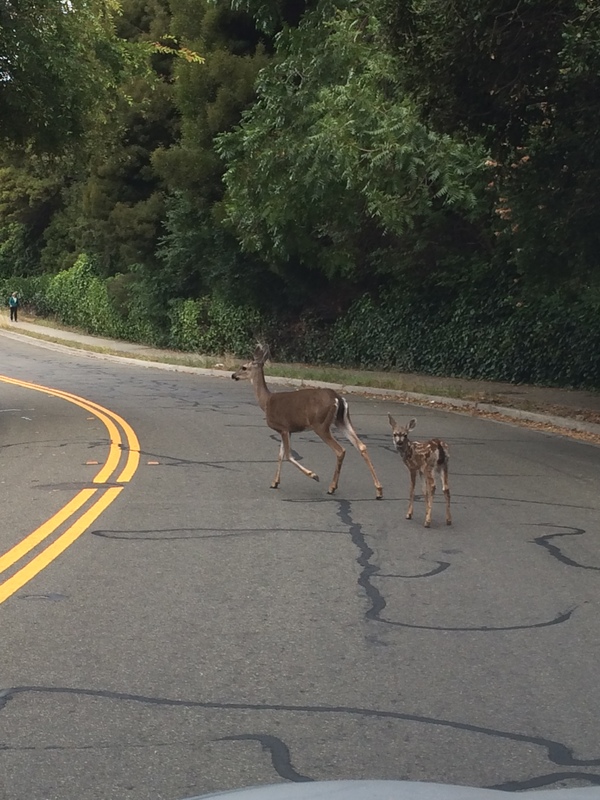 If forced to leave or take turns they come back again. Deep concentration. In the Special Ed class the boy with ADHD was the one with the most focus. Again in my knitting class, the behavior problems solved by finding something that really engaged the student. For 33 years I have loved weaving and found it soothing, but I continue to be surprised how rapidly kids can be engaged in the process. After years of priding myself in my yenta skills, this has been my year to match two new weavers with old looms. One student bought a folding Gilmore 8 shaft from the family of a deceased Guild member and together we moved it and got it up and threaded. 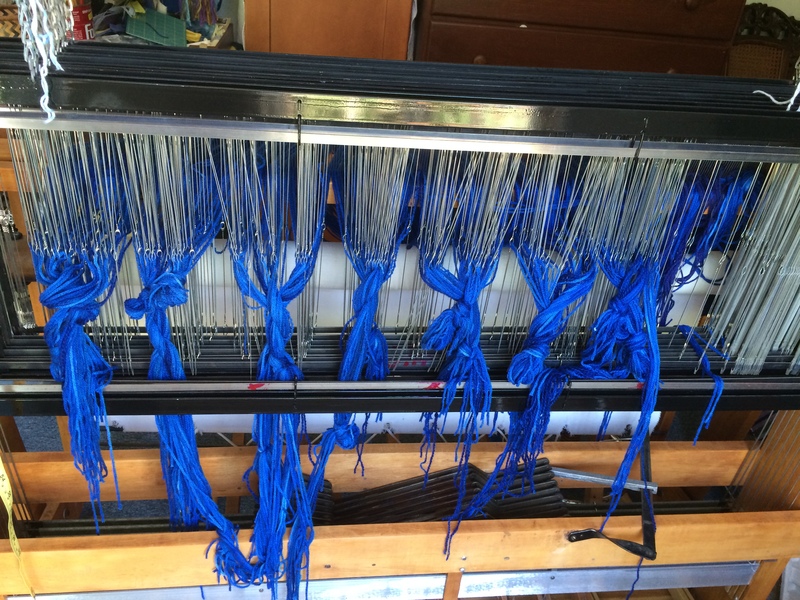 Then, I found a loom on craigslist and my designer client bought a nice old 4 shaft LeClerc Nilus. That was a few weeks ago and since she was really a beginning weaver she asked for help to get it in working order. Instead of teaching or weaving, I was now under the loom oiling and sanding. Always more fun to work on someone else’s loom than my own and I am proud that six years after I had to call in my friend Lou Grantham as a “loom doctor” to help me with the used Macomber I was putting together, I can now help my students doctor their new/old looms. Maybe I can even finish rehabbing the /x*! * Structo that I bought last fall. To round out the summer madness I spent two days (plus dozens of additional hours) selling woven goods for the Mayan Hands cooperative at the deYoung Museum Fair Trade sale in San Francisco. As an introvert the hardest part is talking to people for 20 hours, but we had a successful sale and introduced many, many people to the beautiful products that allow the weavers to continue their crafts and support their families. OK, August is coming and I will re-commit myself to my studio. Time to finish warping those blankets (started in April). But I am also trying to finish up all the other unfinished projects. I’ve spent time this summer in a local sewing studio (Stitch Sewing Lab in Berkeley) trying to upgrade my dismal sewing skills and catch up on mending. I finished a pair of scrubs for myself and altered an estate sale find. In the past month I finished a sweater and several baby hats for afghans for Afghans and now I’m finishing a pair of kids mittens for them that I started long ago in the cold of winter. The next knitting clean up project will be a big one. I need to (learn how to) steek a sweater I designed for a friend. And I will get back to my studio. 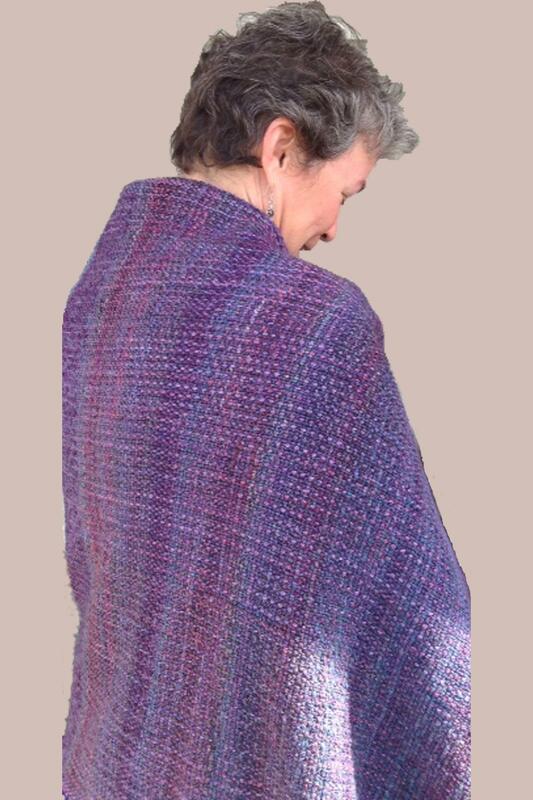 Weaver, spinner, knitter, dyer, lover of fiber. Now teaching and coaching beginning weavers. 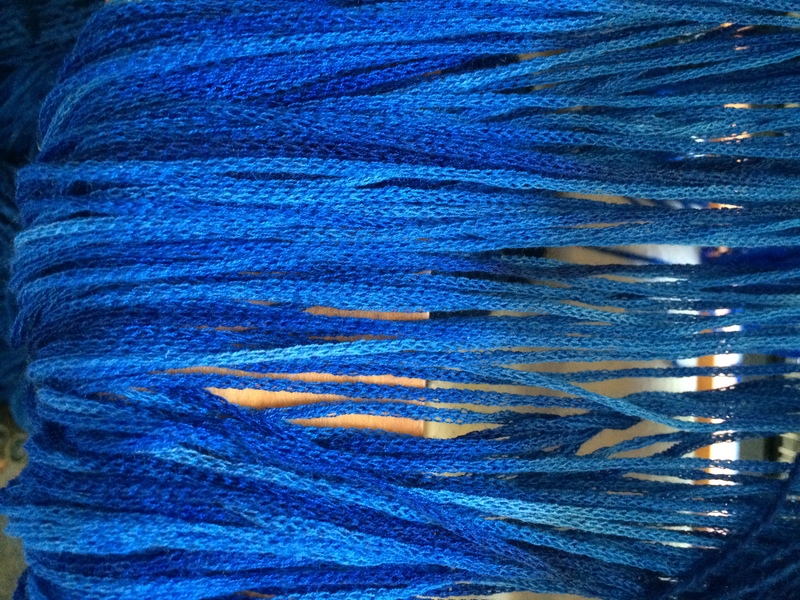 This entry was posted in Dyeing, Knitting, Teaching, Weave and tagged dyeing, fiber, kntting, Mayan Hands, Phoebe Hearst Museum of Anthropology, spinning, tapestry, teaching, weave. Bookmark the permalink. Virginia Glenn on Feeling Warped.